Buckingham Palace is to hold a 4 day catwalk show , show casing 60’s of British style to celebrate Queenies 60′ years on the throne, yes another celebrating. 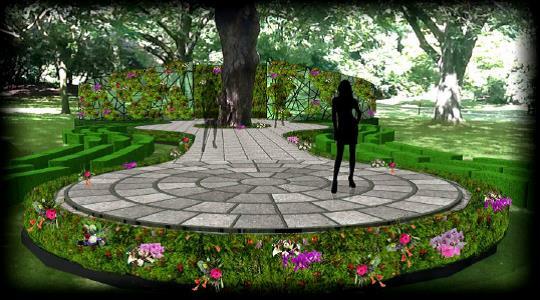 The runway is in the stunning Palace gardens and will take place between the 12th-14th July. The Vintage Picnic Collection will show day wear & classic sportswear, including dresses from royal couturier Stewart Palvin and the finest Savile Row tailors. Reinvention will look at design and technology and ethical fashion, featuring names such as Moet & Chandon, Bentley and Corgi Hosiery. Best of British is a tribute to British lifestyle and pastimes, showcasing bowler hats by Lock& Co, umbrellas by Fulton Umbrellas and wellington boots by Hunter – while James Bond will be honoured with a series of designs by Thresher and Glenny, Gieves & Hawkes and Henry Poole. Finally, Diamonds & Pearls will concentrate on the British red carpet and attire worn to events such as the races or masquerade balls, with items on show from Mappin and Webb, John Lewis and Daks. Tickets are £30 which I would personally pay just to see the garden!